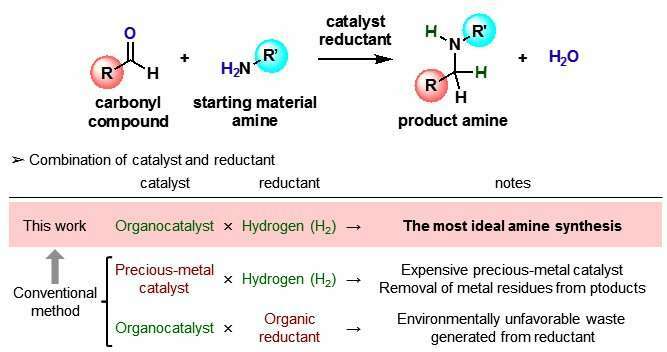 Osaka University researchers demonstrated a reductive alkylation method for the functionalization of substituted amines using hydrogen, which is efficiently catalyzed by innocuous main-group catalysts. Their reaction generated water as the sole byproduct. The presented reaction is highly versatile and environmentally benign, and therefore expected to be applied to wide areas of chemical synthesis. These benefits will contribute to establishment of a high throughput screening of potential drug candidates.